Lovely nature scenes are common all over the world. However, Alaska holds a certain mysterious twist to such beauty, thanks to the sparkling ice-bergs and glaciers that can be found in the state’s secluded islands. Unlike most states in the U.S., icy waters are common in Alaska because of its geographic location. Animals roaming in Alaska are also part of its charm. From black bears and grizzly bears to deer and bald eagles, you will never go wrong with an Alaskan charter if you’re looking to witness these majestic creatures in their natural habitat. Critters of the sea like humpback whales, orcas, porpoises, sea lions, harbor seals, or adorable sea otters also come and go along the waters of Alaska. A lucky few yachters may even catch a glimpse of the rare blue whale. Winter comes once a year in most parts of the United States. However, Alaska houses certain aspects of the season that can be witnessed even during the summer, including chunks of icebergs floating down the river and the cool temperature of rivers, enough to send shivers down your spine. Aside from the vast collection of water and land animals, Alaska is also home to different species of birds. Because of this, the state is considered as a “bird watchers’ paradise” where one can witness the largest flock of eagles flying the Southeast Alaskan sky during spring and autumn. Puffins, which are also known as sea parrots, also gather in this part of the world. They are considered the most vibrant species of birds to migrate to the area because of their brightly-hued bills contrasting to their black-and-white body. On top of beautifully rare plants and animals gathering in one place, Alaska also holds a great advantage over common yacht charter destinations: its rich culture and history. Ketchikan, a city in Revillagigedo Island, Alaska, is considered the epitome of the state’s culture as it houses some heritage sites like the Tongass Historical Museum. There, you can also find the Totem Heritage Center that contains the what is arguably the most significant collection of totem poles known to man. You can also visit the Misty Fjords National Monument where you can appreciate wonderful rock art within an ancient glacier. When in Alaska, it is also recommended that you visit Wrangell. Dubbed as the third oldest city in the state, it houses the Chief Shakes Tribal House located in Shakes Island. Petroglyph Beach State Historic Park can also be found here. If you’re after quaint fishing villages, you should check out Petersburg to have a glimpse of their Norwegian roots. This way, you should be able to witness how the Scandinavian nation influenced the northern American state. Unlike places like the Caribbean or the Mediterranean, Alaska charter seasons are short. Even so, it doesn’t change the fact that visiting the captivating landscapes and diverse terrain of the largest U.S. state will surely a trip you will not forget. In fact, the mere idea of having a short span of time to enjoy every single gem in the sparsely populated state will make you want to repeat the trip over again. Taking that into consideration, it is important to plan your Alaskan yacht charter well to maximize your first visit. Make sure to schedule it around the summer months. 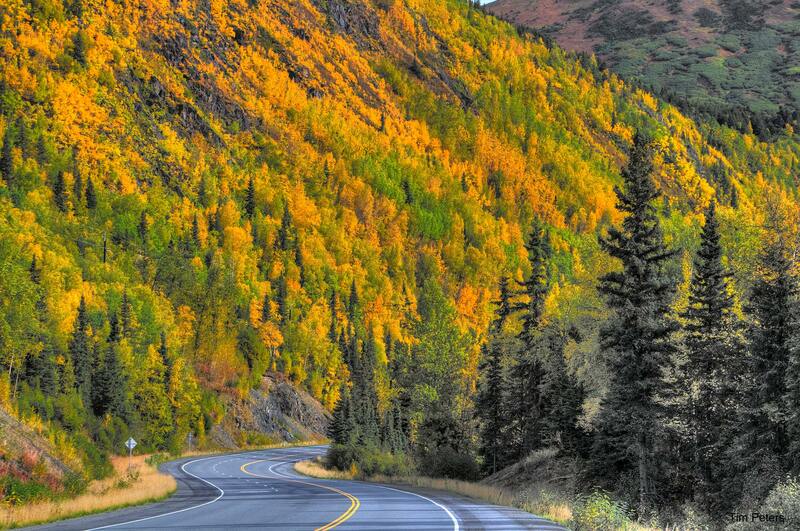 Mid-May through mid-September has always been the best time to go to Alaska since the daylight hours are longer. Due to its location on the Earth’s surface, the state gets as much as 18 hours of daylight. This leaves only 6 hours of the night during this time of the year. You should also consider enveloping June 21— the longest day of the year in the state— when deciding on the dates of your voyage as this annual occurrence is a very rare opportunity. Also, summertime in Alaska comes with extremely pleasant temperatures that are beyond your wildest dreams. Contrary to popular belief, the state’s temperature between May and September reaches 70 to 80° Fahrenheit at daytime and a comfortably cooler 50s at night. Summers in Alaska are also considered picturesque if not magical because of the natural sceneries that can leave anyone in awe. This is because the summer months are also the time when wildlife is most active, plants are blossoming, and the landscape is literally in full bloom. Yacht and Boat Guide covers just about everything there is to know about recreational boating and yachting.